dull roar: And the results are in! ........sort of. Drum roll, please! 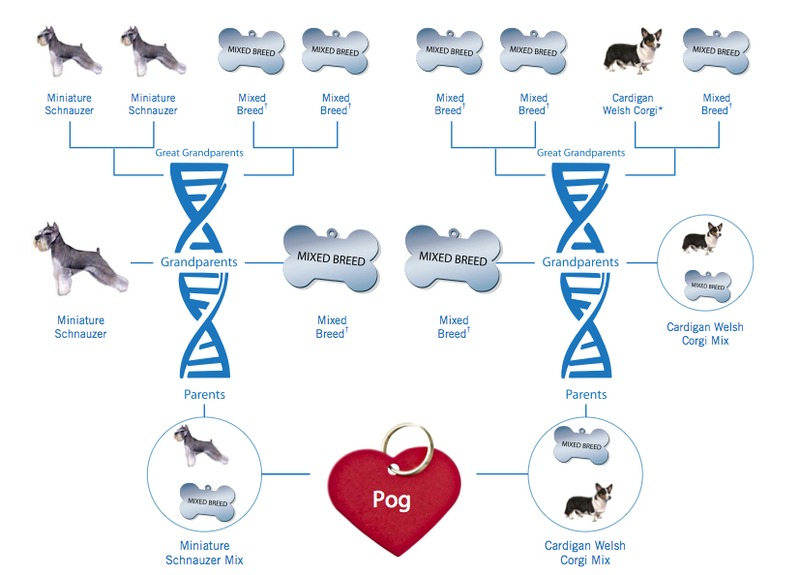 Is a Corgi - Schnauzer with (it goes on to say) a healthy dose of Argentine Dogo, Chihuahua, and Rhodesian Ridgeback. 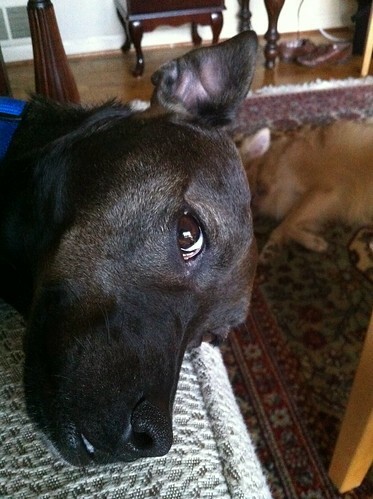 Or, maaaaybe, as one guess-er suggested, she is at least primarily a Patterdale Terrier (three picture links, there) - a breed that isn't AKC recognized and therefore isn't tested for by Wisdom Panel. Now, she's about ten pounds too big... but she definitely has some of their unique breed traits and since the breed isn't really held to any AKC standards, it's possible that she's simply poorly bred :-P Or, indeed, she could be a mix with a bigger dog. Maybe even a Schnauzer and an Argentine Dogo, in there. I am giving her the title of "Patterdalesque Terrier." Thanks for playing my super silly game, everyone! 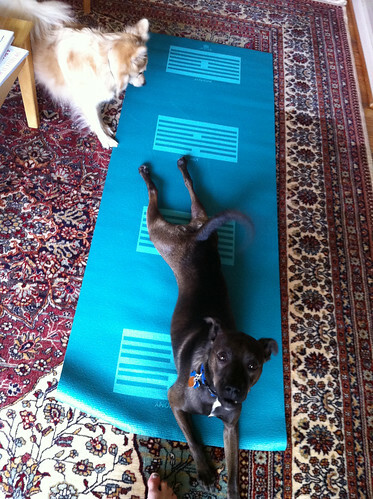 Patterdalesque Terriers enjoy yoga. Or should I say....doga. Honestly- it seems like they kind of ripped you off in that test, you know? WTF with all the 'mixed breeds'?? You already knew that! The funny thing is I have 2 mini schnauzers and they were not in my guess. I can't see it. Oh well, I hope you had fun anyway and Pog is a sweetie. Patterdale? Maybe... but what I have read about that breed- wait I'll go get the book. Okay, "...robust, independent hunter, bred solely for utilitarian service as a ratter and hunting companion...too ferocious to work as a hunter with pack hounds...excellent digger and willing to attack any mammal that has gone to ground" They also don't recommend this breed with other dogs, or children, or to be kept in the city(meaning as a house companion mainly). 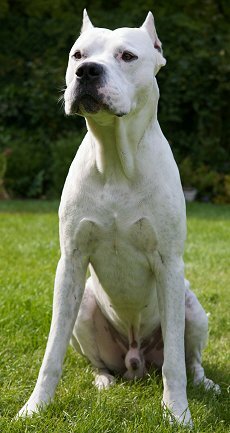 I met one here in Seattle about 8 years ago and it was a nice little dog afterall, but they sure build up the breed as bad-assed. Hope I haven't offended anyone. Pog is definitely "robust and independant" and I think she'd probably be a good hunter if she was trained for it. She likes other dogs, though she's kind of a bossy jerkface. I wouldn't trust her with kids just because she's a bit too rough & tumble, and can get kind of scared about new things. I think breed descriptions tend to exaggerate a bit... kind of how bully breeds and shepherds are often described as good guard dogs and tenacious protectors and blah blah blah, when really most of them just want to curl up on the couch with you and eat cheetos. But if she IS a Patterdale, she lucked out- she's on the hunting dog version of easy street :-P Though she probably does miss the opportunity to tear up some small animals that aren't full of polyester stuffing and squeakers. Ha- yes I agree! The breed descriptions are here and there. Mine do both worlds- they love the couch lounging and squeeker toys, and given the chance they both kill all the rats, mice, squirrels, rabbits etc. that cross their paths. Mini Schnauzers are serious ratters- at least mine are. One of mine has even caught 2 birds out of the air. One was on his own in the back yarn but the other was on a leash during a walk in the park. At the same time they are gentle and sweet to the cat and to us of course. Hugs to your doggies!